This is more of a work in progress...I have lots I want to do with it. challenge at Inspiration Avenue, brought to us this week by Nancy. I'll post it again as it is finished. 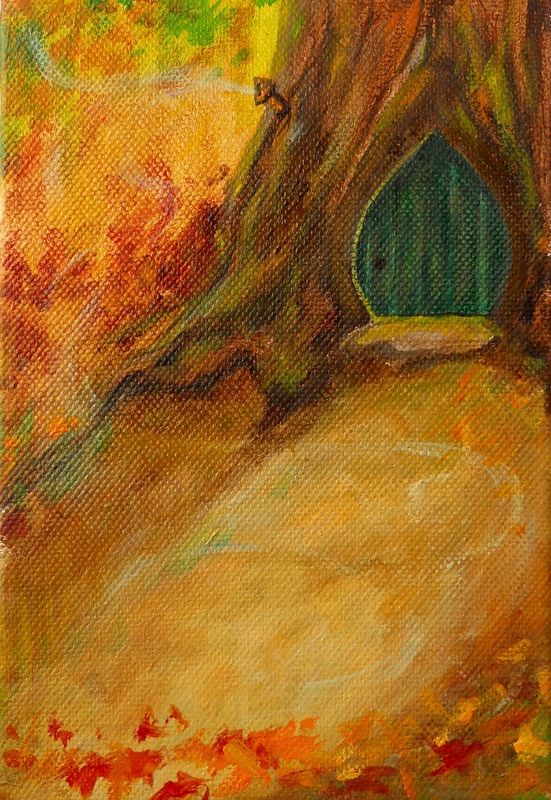 in the forest to see if it holds the entrance to a fairy abode? Right...not many of us, which is why they go unnoticed much of the time. Autumn is just a beautiful time in the woods. and a look-see under the roots of some old trees! preparations for the Fairies Tea are under way at Inspiration Avenue! and add your name to the party list! 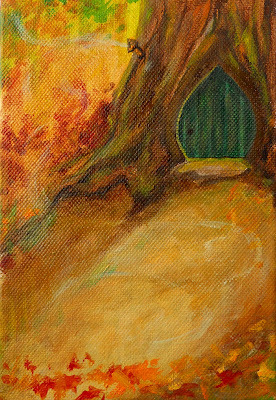 Those warm autumnal colours are lovely Maggie, and I can just imaginee walking up the path leading up to that sweet little door! I love your doorway in the tree. Are elves behind it? Are squirrels making their nest? Can't wait to see it develop. Thanks for sharing! Love this! Can't wait to see if finished! Hi Maggie, great to meet you! I just popped over to say thank you so much for becoming one of my followers...we all love bloggy friends and oh the comments, it's nice to know cypberspace is alive with all this arty activity we all are creating! I love the beginnings of your secret door...can't wait to see it finished!